On Monday night I headed up to Manhattan Beach, one of my favorite places, to have dinner with my uncle. He was here for a 12 hour layover on his way to Australia for two months (lucky!). I got there just in time to watch the sunset and then we got a delicious dinner at a restaurant a block up from the beach. After a bottle of wine, three dishes, and a slice of cheesecake I hugged him goodbye and sent him barreling down the street in a taxi, back to the airport. 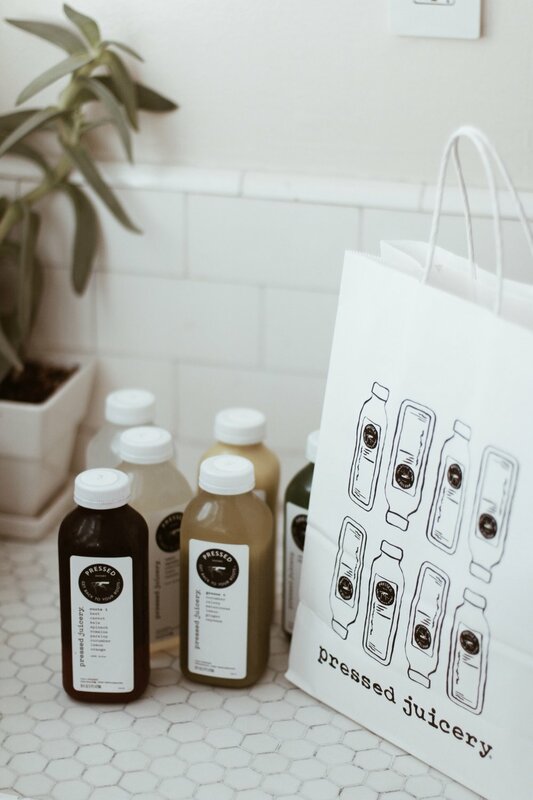 On my way back to my car I stopped by Pressed Juicery and was persuaded to take advantage of a pretty sweet promotion for a one day cleanse. 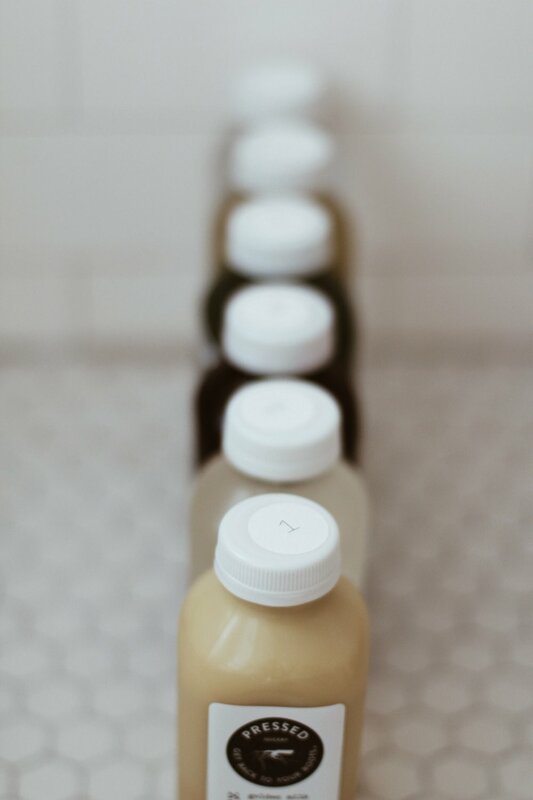 With the cold weather and the holidays it's easy to go into hibernation mode - so it's reinvigorating to give your body a big boost of nutrients. 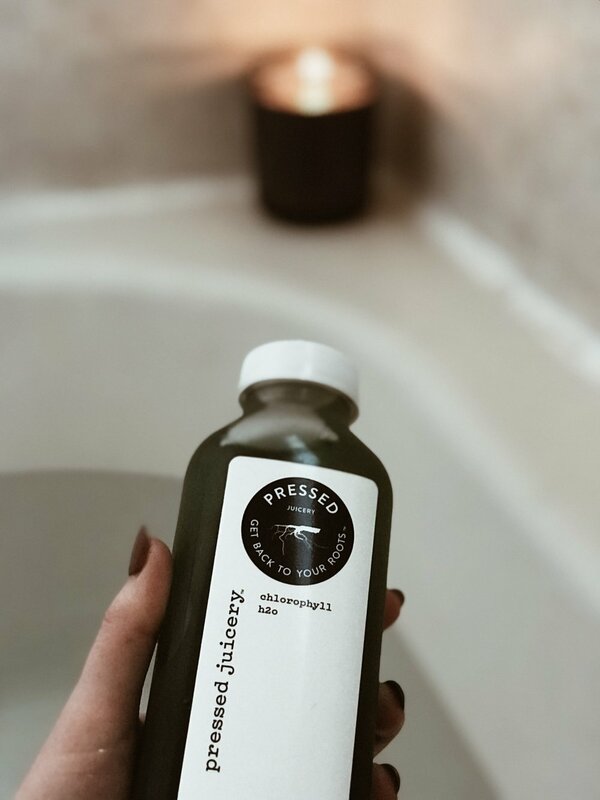 A cleanse was just what I needed! 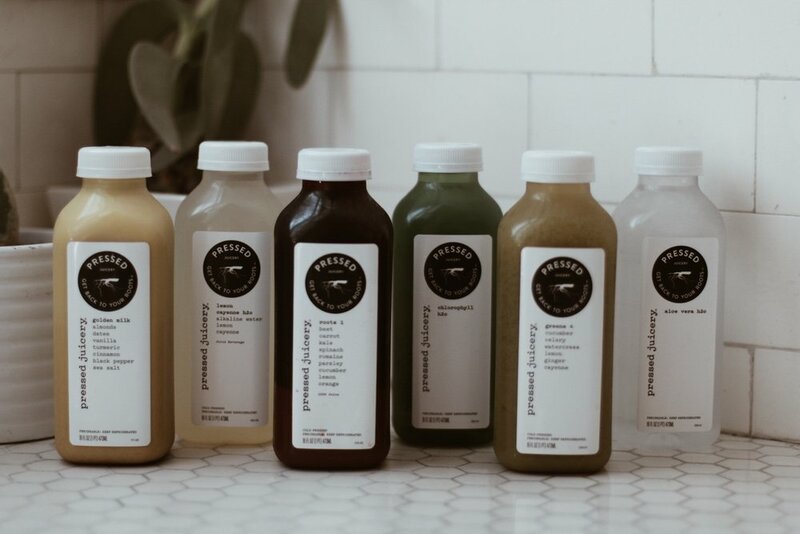 I drank all six of the juices yesterday and ended the day with my second aerial yoga class. The studio is just a five minute walk away. It's SO nice to hang upside-down from stretchy fabric attached to the ceiling, who knew?! The class always ends with you laying sprawled in the hammock, and the last song to play was "What a Wonderful World." It really is too. My cousin April is training for a half marathon next month and I've been tagging along on her runs. Usually I run alongside her with the stroller and my nephew, which adds a little extra exercise, but today his dad took him so I got to do the whole run hands free! It felt so good! We cut through a field with a gorgeous pond and wildflowers everywhere. There's nothing quite like this fresh mountain air! LA is known for its health freaks ... and I suppose it's a relatively good thing to be a freak about. I've accidentally lost a little bit of weight over the last few months though I have no idea how much because I refuse to weigh myself. I've just been less hungry, craved sugar less, and started walking more. Other than losing a little bit of my curves I feel good! It has happened in a natural, healthy way but I hope to get some of those curves back in dance classes! Speaking of which, I found a samba class in Long Beach last night so I won't have to drive 45 minutes for class in Culver City!! The teacher was amazing - super positive, encouraging, and with a very original approach to teaching samba. She taught the feet portion last rather than first and focused primarily on the hips and torso which seemed to encourage people to feel the movement before thinking of the steps. Super fun! 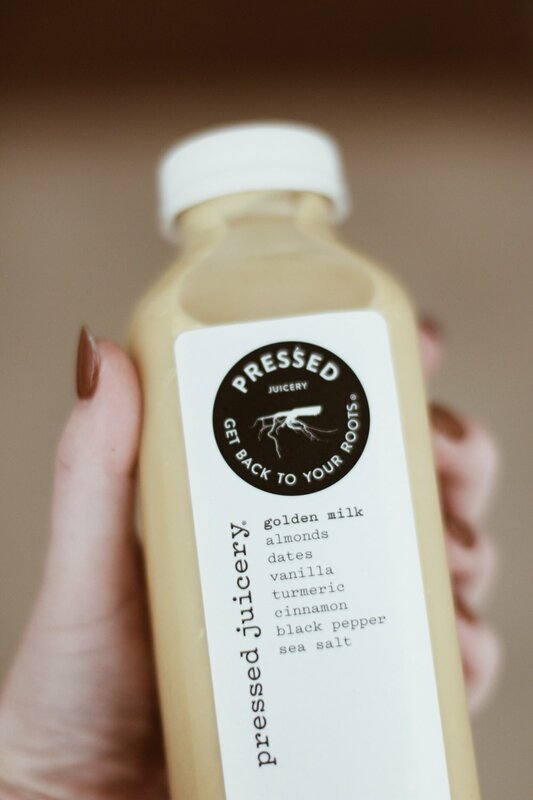 Anways, all that to explain mine and Alli's trip to Pressed Juicery. I highly recommend going if you have one near you! 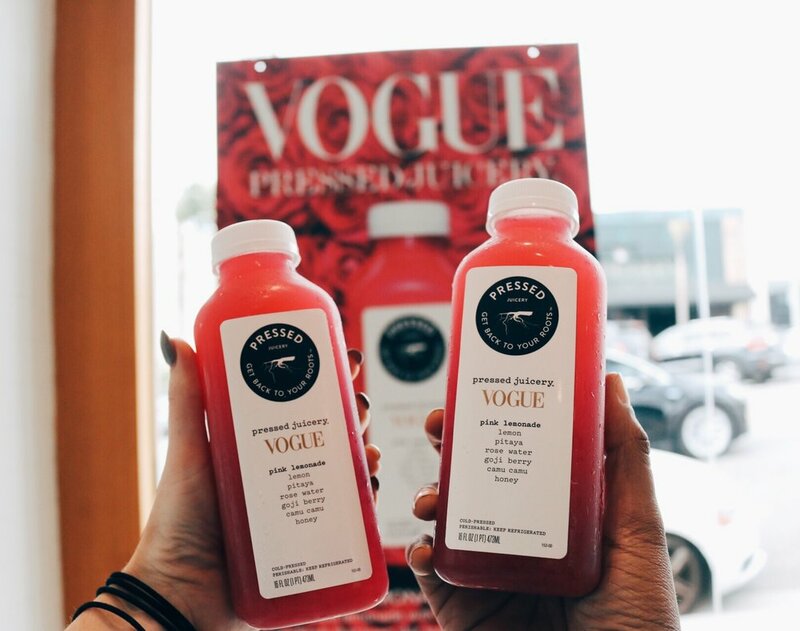 We sampled a ton of different juices that I had never tried and in the end we were both feeling Vogue's Pink Lemonade. It tastes like sweet lemony rose water <3. Saude! Gesundheit! Cheers to your Health!